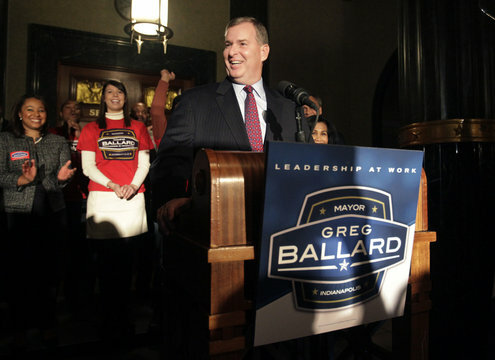 Yesterday morning, Mayor Greg Ballard held a campaign event where he announced he will seek a second term. The event was held at the Indiana War Memorial which is also where he held his inauguration. With roughly 300 supporters in a packed room, Ballard’s speech focused on the accomplishments of his administration calling it “leadership at work” and stressing that Indianapolis “cannot go back” to how things were done in the prior administration. The night before, the Ballard campaign held a fundraiser Abdul estimated raised $250,000. It sounds to us as though Mayor Ballard’s campaign is officially in full swing. Now let’s see what the Democrats do. It was a great speech. Till he went Howard Dean on us!